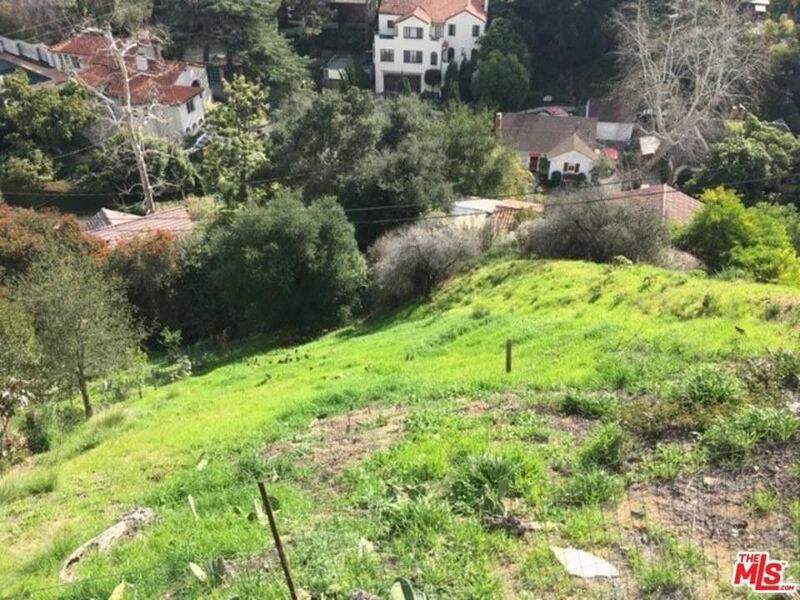 Hollywood Hills view lot in Beachwood Canyon, This downslope lot is located in prestigious Beachwood Canyon with beautiful city and canyons views, with its close proximity to the iconic and historic Hollywood sign. Ideal location to build a dream home with decks, a terraced downslope garden and landscaping. This lot comes with a civil engineered topo and boundary map in paper and digital form. Also included in the sale is a Slope Analysis as required by the city to conform with the Los Angeles Hillside Ordinance law, this slope analysis map and form is stamped by a registered civil engineer. This view lot has all utilities to or near the property Buyer to investigate & verify. Lot comes with an easement rights to connect to sewer line (downslope) in the Belden Drive/Beachwood Drive public sewer system. This recorded easement permits a sewer thru the below property in the side yard set-back (3001 Beachwood Drive,) this is a huge cost savings for sewer connection.